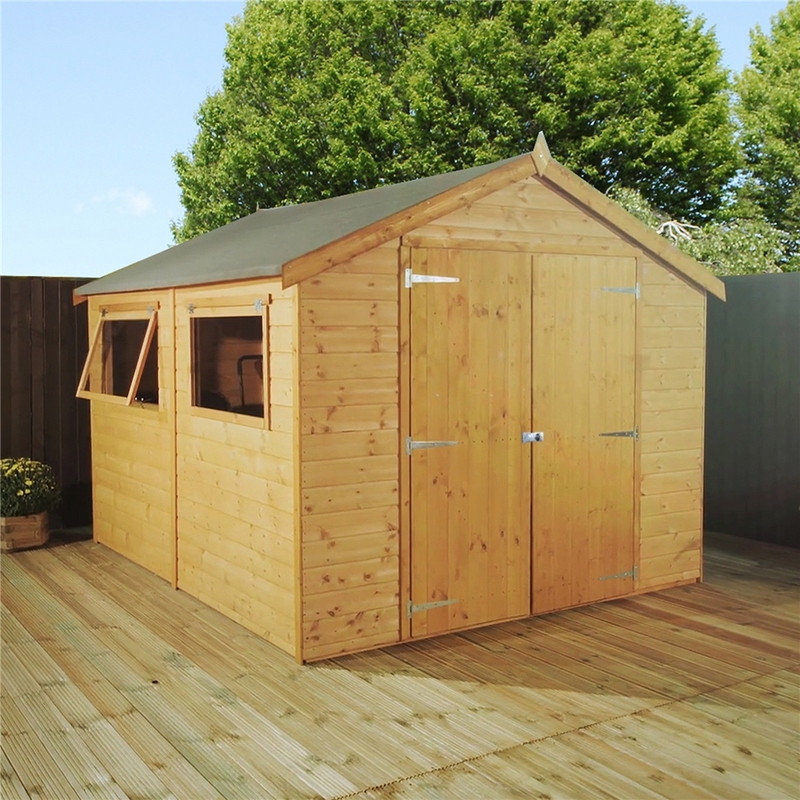 This Premier Range use Tongue and Grove Design throughout offering structural stability and a better finish and durability that you expect from a Premier Shed. 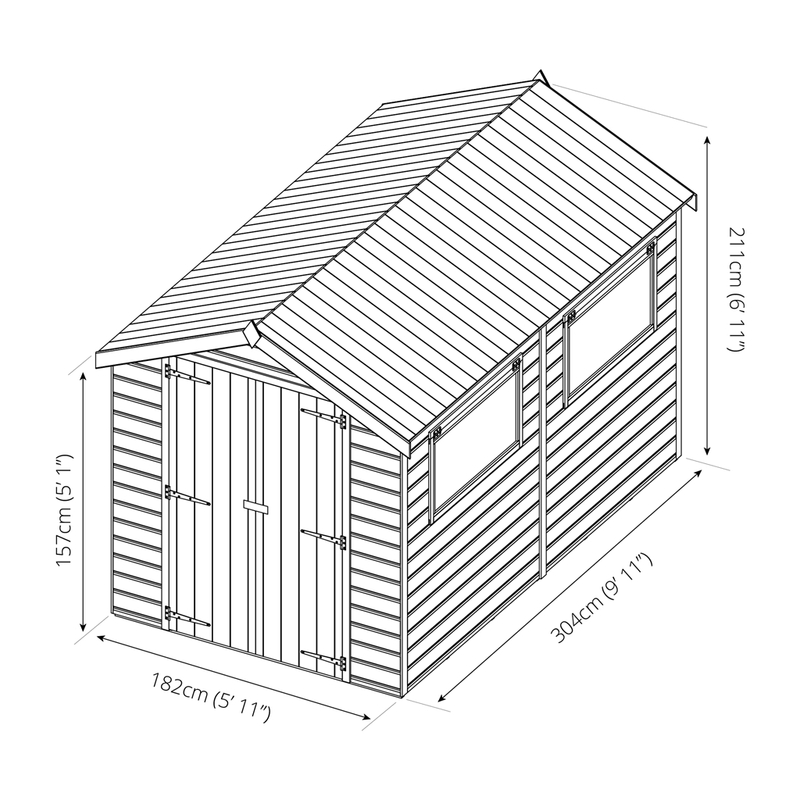 The Tongue and Groove Shed provides a better construction compared with the overlap style of shed. 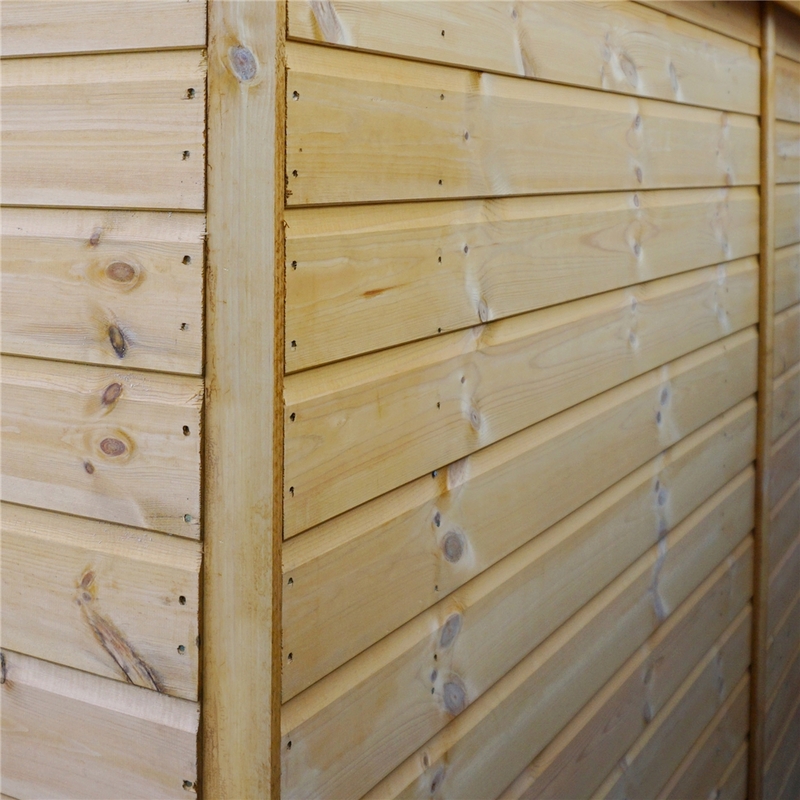 The Tongue and Groove Cladding finish along with the traditional Apex roof provides a more aesthetic look to your shed. 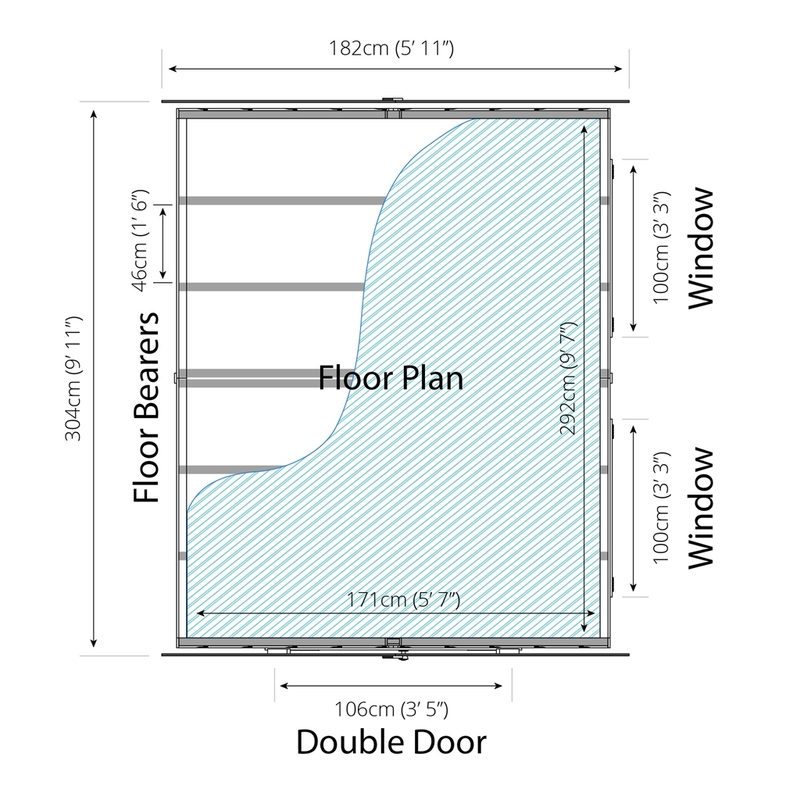 The higher internal roof allows you to store taller items and an overall capacity for storing larger items. The roof and floor are constructed from Tongue and Groove. 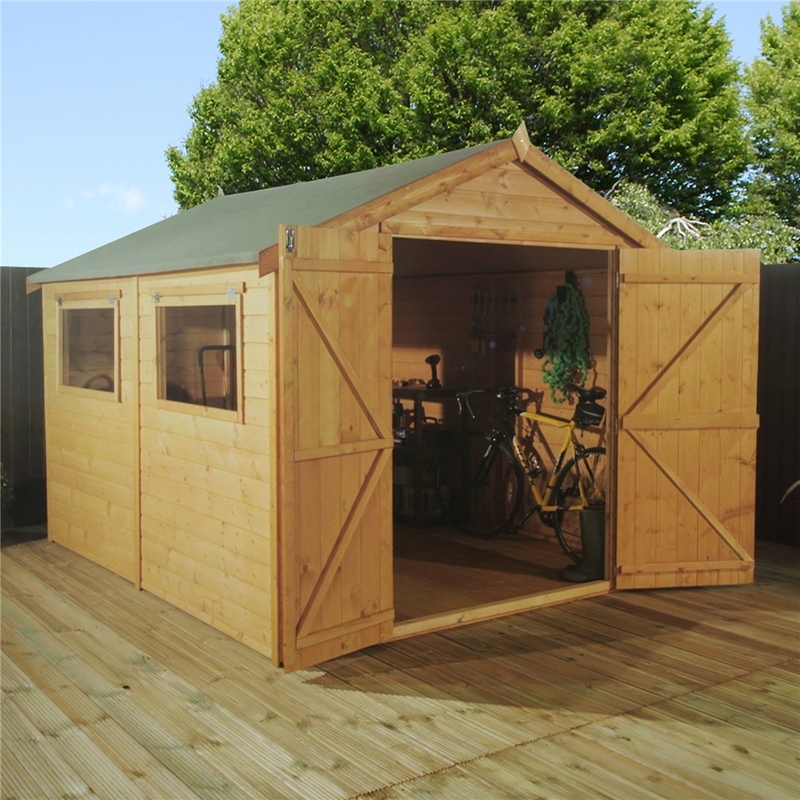 The shed is constructed from high quality tongue and groove shiplap cladding which is supplied with a free factory basecoat. 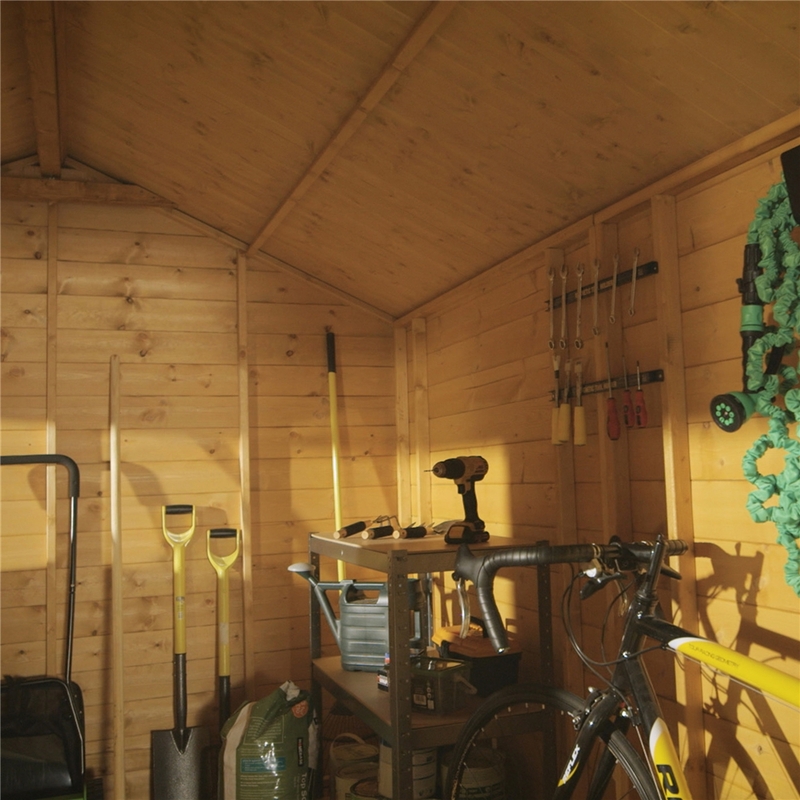 The windows can be placed on either side of the shed and when the shed is assembled will provide a strong and sturdy shed.